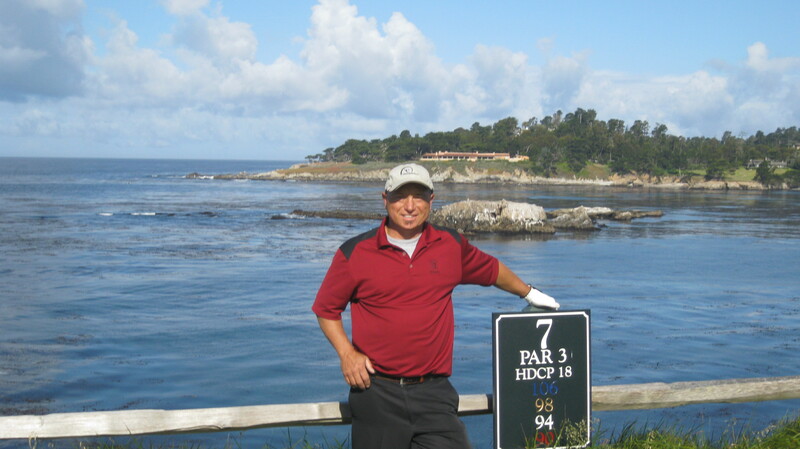 Forums: Discussions - Greenskeeper.org Free Online Golf Community --- Use This to POST --- Forum Discussions: Congrats to Nickesquire - 1,000 GK Reviews!!! Congrats to Nickesquire - 1,000 GK Reviews!!! TOPIC: Congrats to Nickesquire - 1,000 GK Reviews!!! Just wanted to give a quick shoutout to Nickesquire for posting his 1,000th GK review today. That's quite an accomplishment to post as many helpful and detailed reviews as he has over the years. I'll see you at 2K, buddy! RE: Congrats to Nickesquire - 1,000 GK Reviews!!! Great to have Nick join me in the four digit club, soon to be followed by Keith. What is most impressive is the distances Nick travels to play all these courses. Unreal ! I know the GK community appreciates the reviews and his dedication to Greenskeeper. Looking forward to review # 1001.
weber may be the king for now, but I bet he sees Nick coming fast in the rear view mirror! Thanks much guys. Tom and Keith KNOW well how much time is involved to play that much golf, then write the reviews. Funny, I had no idea I was close to 1,000 reviews or had passed Sixpez on the reviewer list until 24hourgolf mentioned it while playing recently. I play, I write a review and post my score. That is the routine. When you average it out, starting from when I signed up for GK in August of 2007, slightly over 7 course reviews per month. 1101 full 18 holes rounds in the GK Scoretracker. Why do my rounds not match my reviews? A few were on courses not on GK, GK only lets you review the same course 3 x per month and have sometimes played 54 or more holes same day. 1170 Front 9's. The occassional 9 hole course (Mostly Terrenea) or playing an extra 9 after a full round account for most of that difference. 1117 Back 9's. Back when I worked full-time used to sometimes take advantage of a couple of local courses that had back 9 early bird specials. I barely remember the golfing time before I joined GK in 2007. Used to play every Saturday/Monday afternoon with GDR23 in the pre GK days. Remember well the amount of phone calls Gary and I used to make to ensure there was no maintanence. And the times we were pissed that we either did not call or got poor information when there was work being performed. We almost always played close to home, rotating around at most a dozen Ventura County courses back in those days. Now, whenever I go to a course with a partner(s) set up ahead of time, 99% of the time it is fellow GKers in the group. I fully recognize and appreciate the contributions that Tom and Keith make, they cover much more than the basics and provide good, unbiased feedback in their reviews. Same for Larry, Stew, Gary, David etc. There are dozens of others on GK that I enjoy reading your reviews. Sometimes living vicariously hearing about far away courses I am never likely to actually play! Quite an amazing accomplishment made by a good golfer and even better person. Congrats Nick on getting to 1000. Way to go Nick! Got a long way to go to even think about catching you! At the rate Nick is going he'll be at 2 grand by years end . . . if not sooner. Not sure if "Congrats" are in order, maybe another hobby? Appreciated so much Nick as you well know but I can never say it enough. As much as the maintanence alerts are vital, its the golf course reviews that keep Greenskeeper.org around. And its because of guys like Nick and many others here on Greenskeeper.org that post detailed helpful reviews that GK has been able to set itself apart from other review platforms, be acknowleged and respected more by golfers, and be reconized by golf courses that often say to me "when I want to know what golfers really think of my golf course, I check Greenskeeper.org." I want to be Nick when I grow up. You guys are the kings! I aspire to reach that milestone some day! I'm getting there; just not as fast as you kids!